Back on April 12th 2018, EOS (EOS) was fighting for the number 5 spot with Litecoin (LTC) in the cryptocurrency markets as illustrated by coinmarketcap.com. On that day, EOS had seen a good 32% jump in value in the markets and was trading at $8.76. The token’s marketcap had also eclipsed that of Litecoin (LTC) by a good $272 Million. But LTC was able to reclaim the position a few hours later. The same EOS has once again edged out Litecoin from the number 5th spot. EOS is valued at $11.71 per token with LTC doing an impressive $151 at the moment of writing this and an effort that is not enough to keep up with a surging EOS. The difference in market capitalization between the two has now increased to almost $1 Billion. EOS’ market cap stands at $9.474 Billion with that of Litecoin trailing at $8.499 Billion. Also to note is that EOS has done an impressive 10% increment in 24 hours. 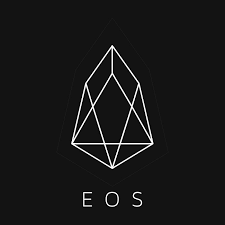 When compared to the tokens value on the 12th of April and before it started surging at the markets with a value of $6 on April 11th, we see that EOS is about to do 100% gains when it hits $12. This gain is in a time period of less than 2 weeks. How impressive is that? Both LTC and EOS are good projects in terms of vision and objectives. EOS is readying for the release of the first version of its MainNet, EOSIO 1.0, in June this year. The exact date is still in the speculation phase but once live, the platform might be the much anticipated Ethereum killer in terms of smart contract capability, security enhancements, ICO preference and being developer friendly. LTC on the other hand is still gathering momentum that will allow it to recover from the Litepay debacle earlier this year. Currently, the Litecoin foundation and TenX have partnered to release a co-branded card later this year after silently adding LTC support in TenX wallets available on Android and iOS. In summary, EOS is gathering some serious momentum and the top might be in sight.